Atomhenge, the home of Hawkwind’s catalogue from 1976 1997, continue their series of definitive reissued editions of these classic albums with the release of Quark, Strangeness & Charm. 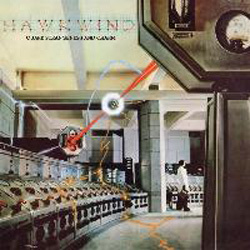 The album, originally released in 1977, was Dave Brock and Robert Calvert s masterpiece that perfectly embraced the influence of the musical New Wave to deliver one of the most effective albums released during Calvert s tenure with Hawkwind. This expanded edition features a bonus CD featuring studio session alternate takes and live recordings by The Sonic Assassins from 1977. Including such classic tracks as Spirit of the Age, Hassan I Sabbah and Damnation Alley , this reissue has been remastered from the original master tapes (a first for any CD issue of this album).